"When disputes arise, how can we learn to sit together, to listen to each other, and in a spirit of respect and humility work through the issues?" Good morning, friends, again, and welcome to Sabbath School Study Hour here at the Granite Bay Seventh-day Adventist Church in Sacramento, California. Very warm welcome to our online members who are joining us and our friends across the country and around the world on various television networks. And as always, warm welcome to our members and visitors right here in person at the Granite Bay church. It's always nice to see you week after week coming together to study the lesson. Now as many of you know, we've been studying through the book of acts, that's this entire quarter's theme, the book of acts. Today we find ourselves on lesson number eight. It is the first general conference session, so to speak, of the Christian church. It's called the Jerusalem council. And that's going to be our theme for study this morning. For our friends who are joining us, if you don't have a copy of the lesson, and you'd like to download a copy, so you can follow along with us, just visit study. aftv.org. You can download lesson number eight. That web address is study.aftv.org, download lesson number eight, "the Jerusalem council," and you can study along with us. Also for our friends who are watching, we have a free gift we'd like to make available to you. 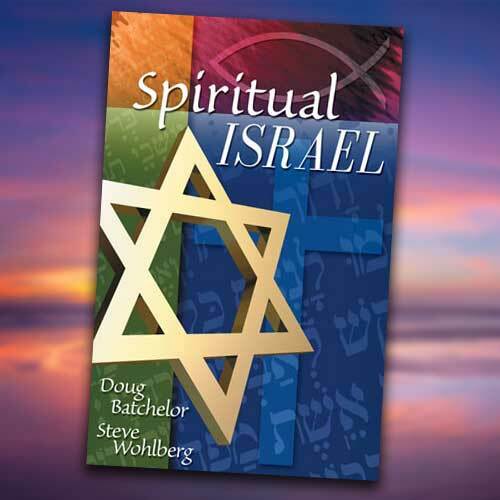 It is a book written by Pastor Doug, entitled "spiritual Israel.
" For those who'd like to receive the book in the mail, call 866-788-3966, and ask for offer number 174. We'll be happy to send it to you through the mail. If you'd like to receive a digital download of the same book, all you'll have to do is text the following code, "sh062" to the number 40544. You will then receive an email where you can download a digital copy of the book, "spiritual Israel." I think you'll be blessed as you read that book. It goes along with our study today. Before we get to our study, as always, we'd like to lift our voices in song. I'm going to invite our song leaders to come join me. Good morning. We're going to begin our worship time and our Sabbath school time this morning with singing. And we're going to start with number 208, "there'll be no dark valley.
" That's 208 in the adventist hymnal. And we invite all of you to get out your hymnals and sing along with us, number 208, "there'll be no dark valley when Jesus comes." It's going to be such a glorious, glorious appearing when he comes in all of his glory, and there will be no dark valleys, not only literally no dark valleys, but also all the dark things of this world will be banished. And it's going to be such a glorious time. Let's sing together number 208, "there'll be no dark valley." Let's bow our heads for word of prayer. Dear, father, once again we are grateful for the opportunity to gather in your house on this, your Sabbath day, to open up Your Word and study this important book, the book of acts, so many lessons that we can learn from the first century Christian church that apply to us today. So, father, we ask for the Holy Spirit to come and guide our hearts, our minds, impress upon us those things that you want us to know, for we ask this in Jesus' Name. Amen. Our lesson this morning is going to be brought to us by our family life pastor here at Granite Bay, Pastor Shawn brummund. Good morning to all. It's good to see you, and it's always good to be able to come together to study as we continue to make our way through one of my favorite books in the Bible, which is called the book of acts. And there's just something very special about the book of acts, you know, a lot of us might find ourselves attempted to different action figures, different action movies and this type of thing. But, you know, there's just something attractive about action. And this particular book is about the most important actions that has ever taken place in the time of Christ and in the early church. And so, this is a very, very important subject, a very, very important book. Now, the subject that we're looking at today is lesson number eight entitled, "the Jerusalem council.
" And the Jerusalem council in chapter 15 is no small chapter. In fact, this is a huge milestone that we find in the Scriptures and in the book of acts. In fact, if you look at the lesson study in the quarterly, you'll notice that the first couple lessons, they included just one chapter, acts 1. We had just looked at acts 1 for a whole week. We looked at acts 2, pentecost, huge, so huge that we spent a whole week on it. The rest of the weeks, you'll notice that we spend two, three, sometimes four, five chapters that we'll look at in one week. But today we're looking at just one chapter again because this chapter is huge, it's packed. And it has all kinds of very important things for us to see. As I was preparing for this particular lesson, one of the things that I was thinking to myself is that another good title for this week's lesson would be "growing pains." "Growing pains." And this was not an easy experience for the church as they came to what is recorded in the Jerusalem council or what we might call acts 15. And then I started to contemplate the ministry of Jesus as he was making his way through his public ministry even before we come to the book of acts and the fledgling Christian church. And Jesus really, when he was going through this earth, of course, he was accomplishing several large important things on his agenda. And so his agenda was very large. But two of the largest pieces of his agenda include, and it was working in laying the foundation really for what we're looking at in acts 15. And that is that when Jesus was on this earth, he really... Well, let's just say that he really rocked this world in a very. .. And rocked the world of Israel in a very significant way. And he addressed it this way. In Luke 5:39, he says it a number of different ways, but in this way he says, "and no one, having drunk old wine, immediately desires the new, for he says, 'the old is better.'" And again coming back to the two large things that Jesus, two of the large things that Jesus was accomplishing during his public ministry was that, not only was he correcting a lot of the false theology, a lot of the err, the traditions that had crept into the religion of the Israelites concerning the old covenant. But he was also laying the foundation to introduce the new covenant. And Jesus knew that that was revolutionary. And so really, he was revolutionary in two counts. Number one, he was revolutionary in the fact that he was clarifying again the old covenant which had been skewed in so many various ways, but then he was also laying the foundation to introduce the new covenant as well. And with the new covenant came some new wine. It wasn't what the religious people of Israel were accustomed to during their time. And so Jesus was very patient with his disciples and his followers during his public ministry. And then we find that Jesus was very patient with them after he went to heaven, and he sent his Holy Spirit, and he was continuing to guide his church, his apostles, and his disciples. When you think about it, really Jesus was introducing when he brought in the new covenant, he knew in his mind. Because, of course, he knows the beginning from the end, doesn't he? And Jesus knew that he was introducing what would become the second great world religion. Now we have three great world religions today that have evolved over the last couple of thousand years. And although even before if you count judaism. So judaism, of course, had conceived of with Abraham many years before Jesus. Then Jesus came along with his disciples, and they had conceived Christianity. And then about 500 years later, we have muhammad that rose up and also brought in the third great world religion which is that of islam. And so Jesus was introducing the second great world religion when he began his public ministry. You know, there's something I've been sharing with my friends over the last... Well, a couple of decades now as I've been studying the old and the new testament, and realizing that there is more parallels, and more in common between the old and new testament than there is different from the old and new testament. In fact, it was so many parallels that I started to say, you know, "I'm going to write a book one day called, "there's nothing new in the new testament." And really, of course, this is something that flies in the face of that which has evolved in a lot of what we call modern evangelicalism. Over the last 50 or 60 years, we have this kind of evolution of two Gospels. You have the Gospel of the old testament, which is more workspace to be kind of, you know, merit based salvation, and then you have the grace based salvation of Jesus in the new testament. And that just doesn't really fly when you read the old and new testament and realize that really they have way more in common than they have not in common. Now, of course, there is a couple of different things that were clarified with the new testament, and so we need to be fair when I say that. When there's nothing new in the new testament, we have to say that in an overall sense because God did clarify a couple of different things that he winked at in the old testament. I'm thinking in particular of that of polygamy. You know, he kind of winked at polygamy throughout the old testament era, but then when the new testament came along, he said, "okay, listen, this is a new standard that I want to introduce.
" And so he said, "when you pick your deacons, and your elders, and so on, make that example and be the husband of only one wife." And so he kind of clarified that for us, adornment and jewelry. You know, Peter and Paul clarified that issue more than any other writer up until that point. And so, yes, there are some new standards and new clarification that God kind of brought God's people up to speed on. But overall, really... More than anything, there's nothing new in the new testament except for one very significant thing. What would that be? All right, Jesus. All right. Now, Jesus, and we can say in a way was... It was the center of the old testament covenant. The old covenant, old testament even as it was with the new testament. So, yes to a certain degree, but what is the large minus. There's one large removable from the old covenant. No, it's not the Ten Commandments. Okay. All right, all right. Now we're starting to get on to the answer. Okay, we went from warm to hot to right on the dot. And that is that we find that... You know, there was the removal of the ceremonial and the civil law of Moses. Was that a large removal? Yes, that was a huge removal. And so there is one very significant difference between the old covenant or testament, excuse me, and that of the new covenant or testament. And that is the fact that there is the fulfillment of Christ in his life, his death, his ministry, and his high priesthood in heaven that replaced all of that priesthood at earthly sanctuary, and sacrificial system and so on here on earth. And so this is no small difference between the two. And the civil law was removed, why? Well, because Israel was going to soon be morphed into a borderless nation. Its citizens would no longer be bound to a bordered country, but rather Israel was now to find itself morphed into an international existence. And so its citizens would find itself eventually living in all nations around the world. And so logistically, a civil government just doesn't make sense, it doesn't fit, it's not needed, and therefore that civil law of Moses was to be set aside. Not only that, but the ceremonial law was to be removed. Why? Because its purpose was fulfilled as I said earlier in the life-death ministry and high priesthood of Jesus. Now, one of the things that we need to keep in mind as we come to Luke… sorry, the book of acts 15 is that for the fledgling church that was predominately by far, almost pretty well exclusively Jewish by race as well as by religion, we find that for the fledgling church, this was not an easy pill to swallow. For many, this was like cutting off their arm or at least it felt like they were asked to cut off their arm because this was a big part of who they were. I mean, the little... The men, the women, they can remember that first time when they were able to make the pilgrimage with their families down to Jerusalem at 12 years of age, and participate for the first time, and observe the temple, and the great sacrifices that were taking place, and the great ephod with the urim and thummim, you know, the great gems on the chest of the high priest, you know, they saw all that, and that made deep impressions, and this was a very intricate, very important part of their religious experience and understanding of God's salvation of their religion. And so this was not a small transition that God was bringing them through. And that's why we find it didn't happen in a day, we find it didn't happen in a week, it didn't even happen in a year, but it took several years, in fact, it took a few decades for the church to be able to come to full terms with not only the fact that uncircumcised gentiles can come into the Gospel without being circumcised, come into Israel without being circumcised and observe the law of Moses, but that the law of Moses itself was fulfilled, and even for the jew was not necessary any longer. And so step one is found in acts 15, and then the rest is found throughout the rest of the decades that followed, and really it wouldn't be until the book of Hebrews came along. Now, the book of Hebrews wasn't written when the Jerusalem council took place. They were just coming to grips with uncircumcised gentiles coming into the church, and into the Kingdom, and into Israel. But then there was also the question of even a jew not being required, you know, to keep the feast and so on. And so that's why you find that most Christian that are also Jewish by background, you know, they don't keep the feasts or the sacrifices. In fact, really nobody does, does they, do they? Because to keep the biblical feast and the sacrifices means that you have to, you have to draw blood. And so nobody is really drawing blood anymore, are they? There's no sacrifices of animals that are taking place, there's no high priest, there's no priesthood, there's no earthly sanctuary, all these elements were necessary to be able to keep most of the annual feasts and so on that are found in the old testament. So the book of Hebrews was to come years later, and, of course, the book of Hebrews was the great treaties concerning the fulfillment of the ceremonial law of Moses in Christ. And the book of Hebrews is instrumental because it declared most extensively the elimination of the sacrifices. It is the great long thrust that it gives to the church that is to explain that the earthly priesthood, the sanctuary, which is included in all the daily rituals, the annual feast days, and so on was fulfilled in Christ, that it was a copy, that it was a shadow of the heavenly things of the true, of the better. In fact, I want to invite you. And this is kind of a long introduction, I know, but I think it's important for us to be able to look at acts 15, at least helpful to look at it in the larger context of the new testament, and to be able to see that in a helpful way in concerned to the ceremonial law of Moses. So come with me to Hebrews 8. Now Hebrews 7, 8, 9, and 10, those four chapters in particular. Now the whole book, and, you know, the main gist of the book, and main purpose that God inspired the book was to help. .. Well, there's a couple of different things, but one of the main things was to demonstrate that the ceremonial law of Moses was fulfilled in Christ. So 8:13, Paul sums it up here. If you feel like me, and you believe that Paul was the one that wrote the book of Hebrews. In verse 13, it says, "in that he says, 'a new covenant,' he has made the first obsolete. Now what is becoming obsolete and growing old is ready to vanish away." And so he summarizes that, what is growing old is ready to vanish away, knows how God's mercy and grace is there. He's not saying, "listen, you need to cut this off right now." In fact, he didn't even give the book of Hebrews till a few decades after a couple decades the evidenced or so after the Jerusalem council. And even then he's not saying, "listen, you've got to just cut this off if you're Jewish believer." No. He's saying, "it's becoming obsolete, it's growing old, it's ready to vanish away." God is giving time for the Jewish believers to be able to let this part go and understand its great fulfillment in Christ. And no longer is the blood of bulls and goats required to be brought before the Lord, but now the blood of Jesus Christ, the high priest in heaven is the one that we bring to him as our sacrifice, as the one who cleanses us. Verse 8 in the next chapter, chapter 9. In verse 8-10, also says it in a very powerful way, it says, "the Holy Spirit indicating this, that the way into the holiest of all was not yet made manifest while the first tabernacle was still standing." That's the earthly one. "It was symbolic." What was it, friends? "It was symbolic for the present time." That's in Paul's time, the church's time, all the way up to now. "For the present time, in which both gifts and sacrifices are offered which cannot make him who performed the service perfect in regard to the conscience. Concerned only with foods and drinks, and various washings, and fleshly ordinances imposed until the. .." What? "Until the time of the reformation." When is the time of the reformation? Now don't get this confused with the reformation with the protestant reformation of 1500s, no. He's not making a prophecy into the future, 1,500 years. No, he's talking about his time, isn't he? Starting with Christ's ministry, he was laying the groundwork for the new testament. Christ died on the cross. He sealed the new testament with his own blood. He became our passover lamb, he became the sacrifice, that perfect sacrifice for the sin of all of mankind, from adam all the way to those of us who are living when Jesus comes again. And so we find here that Hebrews is kind of summing up and finishing up what is started in acts 15. And so for now... By the way, in the book of Hebrews, you'll find that the word "better" is repeated over and over as you go through that book. And the reason is, is that God is trying to convince the Jewish believers that, "hey, I know that what you had was good, but now I'm giving you something even better.
" You know, "yes, the sacrifices were divinely ordained. They were given, they were my idea to bring the lamb, to bring the bull, the doves and so on. But now I have something better. I have my son." You know, yes, the earthly sanctuary was magnificent in its glory, and it spoke volumes of spiritual truth to you and so on. But now I have something even better, it's a heavenly sanctuary. It's larger, it's more glorious, and even speaks more volumes of truth in a powerful way. He says, "yes, I know, I haven't ordained an earthly priesthood." And the priesthood was important. It was my idea, but this was symbolic. It was a shadow, a copy of something better that's in heaven, it's Christ, the priesthood. He's the beginning and the end of the priesthood. And so this is something that is even better for us now. And so, it's shown in the powerful true light that it really is it designed for us and for the early Christian jews to be able to understand. But for now, God seems to be opening the horizons to, more to see that the law of Moses including that of the right of circumcision was not required for gentile believers to come into Christ, to come into Israel. In fact, it's interesting that baptism didn't really come up until about John the baptist, at least in part of God's plan. And so John the baptist was laying the foundation for a new initiation into Israel, into salvation, and now no longer is it circumcision, but it is…? It's baptism, isn't it? Yeah. So he initiated a new physical ceremony to enter into salvation in a physical ceremonial way. And so it's my hope that today's study will help some of us who may be watching, who perhaps have mistakenly come to conclude that for us to be faithful Christians that we need to come back to the annual feast, that we need to be able to keep the passover feast, that we need to keep the feast of the trumpets and so on. And I know some very sincere Christians, in fact, a family member of mine for years was convinced that this was necessary. And again, you know, I gently tried to share with him that, you know, listen, you know, even if it was true, you're not really keeping the passover anyway, because to be a Bible passover keeper, you have to bring a lamb, that's one year of age without blemish into your house for 10 days before the passover, get to know it, then you have to slit its throat, you have to take its blood, you have to put it over the lintel of the... And the side of your doorpost, you have to then, you know, take the lamb, and you have to roast it whole, you know, and then you need to be able to take that meat as much as your family and household can eat, then you eat it, and whatever's left over, you burn it by morning. I haven't met anybody yet. Now, maybe there's some small group over in Israel somewhere that I've never heard of that is doing that, but I haven't met or heard of anyone or people group in the entire planet that's keeping the Bible passover today. And that's okay. Why? Because the good news is that God has given us something better. The Christ is our passover lamb. And so the law of Moses and the ceremonial law of Moses has been fulfilled. And so acts 15 is confirming that for us. It's clarifying that issue for us in a very powerful and needful way. And so the book of Hebrews, and the acts 15 are exhibiting and demonstrating that keeping the feast is not the case. God has fulfilled that, it was a copy, it was a shadow, it was symbolic as we read in Hebrews 9:9 there earlier in our study today. Well, that being said, we don't want to run out of time before we get into acts 15, we're going to review a little bit. Two weeks ago, we looked at the chapter 11, and we were studying the ministry of Peter. And I had the privilege of being able to teach us as we looked at that important subject. And as we looked at chapter 11, we discovered that Peter found himself arriving in Jerusalem with kind of some cold shoulders from his fellow apostles, and from his elders. And the reason was that, rumor had already spread to Jerusalem and preceded Peter's arrival, and the rumor was that Peter had lowered himself to enter into a non-Jewish home, a gentile home, and not only eat with them, but also preach to them, and then of all things, baptize them. And so the leaders in Jerusalem were horrified. And so they kind of jumped on him as soon as he got into the city, and said, "is this... Is the rumors true?" And so, poor Peter had to go into defense mode. And he began to recount how he received this amazing vision while he was on the rooftop of Simon the tanner, in joppa by the seaside, and this amazing sheep came down with all these unclean animals, and God says, "rise, kill, and eat." Three times he refused. And after the third time, God rose the vision up, and Peter scratching his head afterward, and saying, "what in the world did that mean?" In the meantime, there are some messengers that come from caesarea, just up the coast, and say, "hey, listen, there's a roman gentile by the name of cornelius, and he's received this vision from God. He sent his messengers and a soldier to come and get you, because he's been told that you have a message for him." And the Holy Spirit tells Peter, this is true. And so Peter goes on the way up to caesarea, and he's still trying to figure out what the vision means. And then when you look at acts 10, and I think it's around... Well, let's take a look here. Because that verse is so important, I just don't want to guess. Acts 10:28, we find that Peter confesses to cornelius and says, "listen, I have to confess that I don't feel comfortable here. And I was trained all my life to say that this is wrong, it's unlawful. And I shouldn't even be in here, but God has told me in the meantime through this powerful vision that I should call no man unclean or common." And so Peter reveals the vision, and the meaning of the vision at that point. 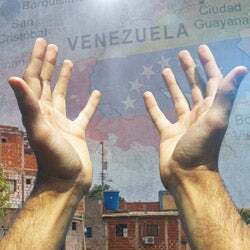 And so he goes ahead, and preaches, and they break out in the gift of tongues and begin to speak different international languages and tongues, just like they did on pentecost. And Peter looked at his cohorts and he said, "well, this is the same gift that God gave to us when we were preaching to all the different pilgrims that came into Jerusalem for pentecost feast, and spoke in all these different languages. And so surely the Lord is with this and behind this, and so what prevents us from baptizing them." And so he went ahead and baptized cornelius and his household. And so Peter shares all this with the religious leaders and so we come to the conclusion of the matter. And we have a volunteer that's going to be reading acts 11:17-18 as we review that today. Thank you. Acts 11:17 and 18, "if therefore God has gave them the same gift as he has given us when we believed on the Lord Jesus Christ, who was I that I could withstand God? When they heard these things they became silent, and they glorified God, saying, 'then God has also granted to the gentiles repentance to life.
'" Okay, so here we have Peter in verse 17, and then there's that dramatic silence, that pause in verse 18. What is going to be their conclusion? Are they going to see the light like Peter is coming to see the light? And sure enough they said, "well, then God has also granted you gentiles repentance to life." And so this was a revolutionary but very needful conclusion in truth and light that went on in the minds of Peter, and the apostles, the gentiles, and so on. And they realize that. "Hey, you know, uncircumcised gentiles can come into the new covenant, they can be baptized and not circumcised, and they don't have to observe the law of Moses. They can come in, and yes, of course, they are coming in to obey God.
" And Paul goes on extensively about that throughout his letters and so, we don't have time to study and talk about, you know, God's will and concerned of the Ten Commandments, and all these other wonderful things that God has for the believer to follow. But nevertheless, we find that this was a revolutionary step for them. It's also important for me to point out that a proper interpretation of acts 10 and the vision that Peter received is essential for us to understand the worKings of acts 11 as well as the worKings of acts 15. Because in both those chapters, the vision comes up again, doesn't it? And both those chapters, we find that... When the vision comes up, Peter doesn't come up and say, "oh, by the way, God has also revealed to us that we can eat pork, you know, and we can eat unclean foods. And God has cleansed all the clams, and the lobsters, and unclean stuff that that we used to be told to avoid." It doesn't say that, does it? No. Instead it says that God has told me that we should not call any man unclean or common. And so twice, three times the interpretation is given to us in acts 10:28 . Acts 11, we find the same thing is given to us in verse 9, and then when we come to acts 15, we're going to discover that it's there as well. And so three times it comes up, three times the interpretation is given, and it's important for us to understand what it really means because it has a critical application, and it's a very needful application. Well, after acts 11, we kind of said to our self, and it's natural to think to ourselves that the matter was settled once and for all, after all these were the apostles and the elders that had concluded this with Peter, right? And Peter was the apostle to the jews, he was the ultimate representative that God had assigned to represent and to minister to the jews. And so if God was able to first bring this light of truth to Peter's mind and then bring it through him to the rest of the elders and the apostles, why it was a settled matter? But it would be over two years before the conclusion the matter would make it into the church manual. Before it would become policy, before it would become official church doctrine that would be on paper in print. And so this is a process again that God is bringing his church slowly but surely in the right direction with, and his grace is there to be able to help them to be able to see that and come to terms with it. Now, one of the things that's fascinating between chapter 11 and chapter 15 is that barnabas is in Jerusalem still when Peter comes and explains himself, and defends his baptizing of cornelius and his household. And so, he almost for certain was in that council and in that conversation. And he heard the conclusion and was part of that conclusion. And so we read that shortly after that he was sent up to the city of antioch, that we say up because it's north, but you'll find that when we read it in the Bible, it says, "they went down to the city of antioch." When you look at the map, you say, "well, wait a minute, Jerusalem's way south of antioch. They went up. And that confused me for the longest time. And then I found out that it's, you know, for the Jewish mind Israel is on a hill, and it is on a bit of a hill and a mountain. But it's the holy city, it's the capital, it's the ultimate. And so whenever you left Jerusalem, you went down to wherever you were, whether it was north, south, east or west, it didn't matter which direction you went, you were going down, you were descending from the holy city. And, so even when you go north, you're going down to the city of antioch. And so while he was sent up to antioch to investigate the conversion of these different hEllenists. Now, these were jews that had become just as much Greeks or maybe even more Greek than they were Jewish as far as their tradition, and even some of their religious practices and so on. And they were hearing the Gospel, and they were receiving the Gospel, and they were being baptized. And barnabas was excited about that, then he makes his way over to tarsus, he picks up Paul, Paul comes back, and for a year, they're just preaching, and it's just a powerful, powerful year, where they're baptizing all these different, yes, jews, but also hEllenists, and probably even some uncircumcised gentiles. And then they eventually pair up together, both barnabas and Paul, and they went on their first missionary trip. And as they went on their first missionary trip, very naturally they started to preach, yes, it says in the different synagogues, and certainly there was a number of jews that were coming into the Gospel of Christ and accepting him as the true Messiah, but they are also baptizing a large number of uncircumcised gentiles as well. And barnabas and Paul were doing this freely, why? Because barnabas was in Jerusalem when Peter came in, and they had that conversation, and they had that informal conclusion that indeed repentance to life is given also to the gentiles, even uncircumcised gentiles, and they too can be baptized. And so it makes sense why barnabas and Paul went out so freely as they were ordained, and then authorized, and sponsored by the antioch church. And so we come to acts 14:27. And we have a volunteer that's going to read the last two verses of that particular chapter in acts 14. Acts 14:27-28, "and when they were come, and gathered the church together, they rehearsed all that God had done with them, and how he had opened the door of faith unto the gentiles. And there they abode a long time with the disciples." Okay, so here we have... So here we have Paul coming back, and, of course, you know, they didn't have slides like we do today, there was no powerpoint. But if they did have powerpoint, they would be clicking away like we would, you know, and showing the different slides, and showing, you know, this is what we did in derbe, and lystra, and these different cities. Now, when you look at the map in some of the back of your Bibles, you'll see that the first missionary trip didn't go out very far. The second and third went, they went way, way out. First one, they're just kind of getting their feet wet, and they go out and they kind of circle back quite a bit shorter. But when they come back, they're just on fire for the Lord, and they're just so excited to show all the pictures, if they have pictures, and of course, they didn't, but, you know, they're just so excited to share all the wonderful things that God had done through them. And it says there in verse 28 that they stayed there a long time. Now, how long is a long time? Okay, that's what I asked myself, you know, it's kind of open-ended question, isn't it? It's more than a week? I think we could probably all conclude it's more than a week. Is it more than a month? Yeah, probably. You know, is it least several months and maybe a year or two? I don't know. It just says a long time. And so, even when they got back, they continued to grow the church in antioch and continue to evangelize, and things were going well until we come to chapter 15. And in chapter 15, we find that there's a self appointed contingency that comes from Jerusalem and arrives to stir the waters. And I'm going to go ahead and read verse. .. Actually verse 24. Acts 15:24. Now, I know that's jumping ahead. In verse 24 is the letter that the Jerusalem council had eventually written as they wrote this new policy and doctrinal belief of the church. Verse 24, it says, "since we have heard that some who went out from us have troubled you with words, unsettling your souls, saying, 'you must be circumcised and keep the law to whom we gave no such commandment.'" And, so I see, I think it's important for us to understand that the group that had arrived from Jerusalem in the city of antioch were self-appointed. And that's a good lesson for us. You know, I've never seen things turn out good when there's a self appointed member or a self-appointed group of members that decide that they're going to go off and teach something that's maybe contrary or different than the church's teaching on their own without going through the proper channels, without working with their local pastors, and conference, and so on. And this is no exception. This is a good lesson for us that it didn't turn out well. So certain men came down from Judea and taught the brethren, it says in verse 1. And maybe I'm going ahead and taking a volunteer's text, I think, I am. Chapter 15, we're going to read verses 1-2, please. "And certain men which came down from judaea taught the brethren, and said, 'except ye be circumcised after the manner of Moses, ye cannot be saved.' When therefore Paul and barnabas had no small dissension and disputation with them, they determined that Paul and barnabas, and certain others of them, should go up to Jerusalem unto the apostles and elders about this question.'" Okay. Thank you. All right, so Paul and barnabas didn't take kindly to the agenda of this particular group that had arrived in the city of antioch and so on. And they could have handled this in a number of different ways, but they handled it in the proper way, didn't they? They handled it in the healthy way. And that is, they said, "okay, well, let's just not try to solve this locally, let's go down to... Let's send a representative group down to the leadership of the church." And we could kind of say that Jerusalem was the gc, you know, the headquarters of the church during this era. And we'll bring it before the brethren and the leadership, and we'll decide together and we'll bring back the answer back to you. And so that's what they did. They started to make a journey on the way down, they meet some pit stops on the way down, reporting and such, and then they were received in verses 3 and 4. We pick it up in verse 5. And I'm just going to go ahead and read verse 5-12 as we look at that, it says, "but some of the sect of the pharisees who believed rose up, saying, 'it is necessary to circumcise them, and to command them to keep the law of Moses.'" And so, some of these likely represented local pharisee and Jewish believers that lived in Jerusalem. Some of them may have been also representative from the contingency that had gone up to antioch and now had come back down with Paul and barnabas. And they are agreeing, and they are saying, "I think it is necessary to circumcise them, and to command them to keep the law of Moses." "Now, the apostles and elders came together to consider this matter. And when there had been much dispute, Peter rose up and said to them: 'men and brethren, you know that a good while ago God chose among us, that by my mouth the gentile should hear the word of the Gospel and believe. And so, God, who knows the heart, acknowledged them by giving them the Holy Spirit, just as he did to us, and made no distinction between them and us, purifying their hearts by faith. Now therefore, why do you test God by putting a yoke on the neck of the disciples which neither our fathers nor we were able to bear?" Now before we go on, I just want to point out a little bit there in verse 10, you know, that kind of show, reveals again that for Peter and the apostles, you know, the law of Moses was something that was Godly, God ordained. But it felt like a yoke because the traditions of The Fathers, the Jewish fathers had been added to that so extensively, and it skewed so much in a lot of different ways that it felt like a yoke. And so that's why you have that more negative connotation there. In verse 11, it says, "but we believe that through the grace of the Lord Jesus Christ, we shall be saved in the same manner as they.' And then all the multitude kept silent." There's that, just like verse 11, I mean, chapter 11, remember? Chapter 11, there's that dramatic pause, that silence. "Then all the multitude kept silent and then they listened to barnabas and Paul declaring how many miracles and wonders God had worked through them among the gentiles" so here we have Peter for the third time giving us the interpretation and the reason for the vision that he received in acts 10 with the animals, of the unclean animals and creatures that were found there. And that is that God was teaching them and bringing them up to speed that indeed the Gospel was intended for gentiles, uncircumcised gentiles as well. And so it's very important for us to understand this truth. 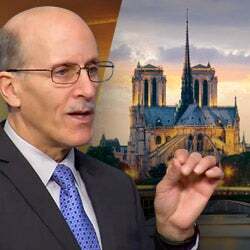 Well, James then goes on and makes an appeal to accept Peter's testimony, and then verifies it with Scripture, as he quotes from the Scripture and so on. And then he proceeds to make a motion. And we could find that motion in the same chapter, verses 19-20. And so we'll just ask a volunteer to go ahead and read that for us. Thank you, John. Acts 15:19-20. "Therefore I judge that we should not trouble those from among the gentiles who are turning to God, but that we write to them to abstain from things polluted by idols, from sexual immorality, from things strangled, and from blood." Okay. Thank you. So there is his motion. And when we come to verse 22, it says the conclusion. It says, "then it pleased the apostles and elders, with the whole church, to send chosen men of their own company to antioch with Paul and barnabas, namely, Judas who was also named barsabas, and silas, leading men among the brethren." And so they chose these different representative, both the ones that came from antioch as well as local Jerusalem representatives to be able to take the letter, put it in print, officially bring it up to antioch, and to be able to have that as their new official stand as a church. And so the majority had, were in agreement, they formally put it into print. And also, it's interesting in acts 16:4, we find that Paul then took that letter and he used that to bring it to the other churches he applied to throughout the roman world as well. And so it didn't just stay in antioch, it was used extensively after that by the missionary work. By the way, does this all sound like organized religion? It does, doesn't it? Okay, the other reason I'm bringing this up is because sometimes we have mistakenly come to a conclusion that when we come to Christ that Christ at least gives us the option to be able to kind of be a lone ranger, kind of a Christian. And, you know, that God has called us to kind of be isolated lone rangers, and we just kind of do our own thing, we worship God by ourselves, we serve God by ourselves, and so on. And some people have a real hang up about organized religion. And I want to make an appeal to those of you who perhaps struggle and maybe have been stung by organized religion, and you see, have some different issues or hang ups about organized religion. And yet when we read the Bible, we find here that organized religion is very, very biblical. It's God ordained, it's God's idea, it's his plan for all Christians to come together as a body. And that's why Paul paints it as a head. Jesus is the head, and then we have the body. And the body is the makeup of all the believers, and they come together every Sabbath and to worship. They serve together, they encourage each other. And so God is into organized religion. And the Bible makes that abundantly clear, especially in this chapter. And so there's protocol, there's hierarchy, there's leadership that is in placement as God has ordained and appointed different people in their different gift appointed positions and so on. And all of that when it's done it with the Holy Spirit with sincere believers, all works to the glory of God, and benefits the world, and brings the light of the Gospel to the world in a very powerful way. And, so I want to recommend that none of us, if we're bashers of organized religion that, yes, sometimes organized religion can be very negative. But find the right organized religion. And when you do that, you know, like Granite Bay church, and the Seventh-day Adventist Church, you know, I thank God for the organized church, and the blessings that he gives to me and to all who are involved with it. While I wish I had more time to continue to study because this is just a powerful chapter, and there's much more that we can draw out of this. But our time is up here today, and I do want to remind you that if you would like to study further on spiritual Israel, we refer to that during our study here today as we made our way as Christ brought us as believers from the old covenant to the new covenant. There is a spiritual Israel that continues to exist, and we have a free gift that we can offer you that you can bring home with you, and/or have sent to your home. And so just a call 1866-788-3966. That's 1866-788-3966 and ask for free offer number 174, spiritual Israel. God bless you, love you all, we'll see you next Sabbath. 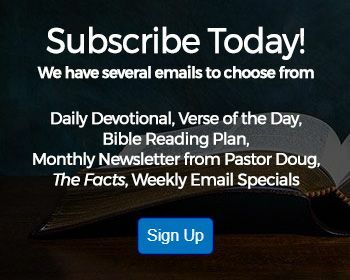 Can't get enough Amazing Facts Bible study? You don't have to wait until next week to enjoy more truth-filled programming. Visit the Amazing Facts media library at aftv.org. At aftv. org, you can enjoy video and audio presentations as well as printed material all free of charge, 24 hours a day, 7 days a week right from your computer or mobile device. Visit aftv.org. Hello, friends. We're here in the Philippines overlooking the taal volcano and lake, which is one of the most interesting pieces of geography in the whole world. For one thing, this great caldera was once the biggest volcano in the world. And now it holds a lake, that holds another volcano, that has another little lake in it, that has another little island in it. This volcano has erupted six times in a major way since the 1500s. And even in 1911, there was an eruption where over 1300 people died, killed by the smoke and the ash that covered the community. There were tsunamis that came from the lake and destroyed the villages that surrounded the borders of the lake. In fact, this is one of the most carefully monitored seismic places in the Philippines. This volcano is being watched all the time. And they've noticed, as of 2006, that it appears that the water temperatures are going up. There's an increased seismic activity. In other words, they know that this volcano is a ticking time bomb prepared to blow. And it's very interesting because this place is a place of great seismic activity, but in spite of the fact, the volcanologists know this is going to blow again someday, it is a popular tourist destination. They're fighting for the real estate, they're building like mad and sit on the edge of disaster. It makes us think about how God has given us so many warnings in His Word that the world is going to end, that Jesus is going to come, that the heavens will dissolve with a great noise and the elements will melt with fervent heat. Seeing then that all these things will be dissolved, what kind of people should we be in our holy conversation and Godliness? Friends, are you becoming distracted with the tranquil views of the world, or are you preparing for the next world? Are you getting ready for the big bang? Amazing Facts changed lives. Well, it was the year 2000. Tony and I had been wanting to go north and be near Canada, where his family was, and Washington was looking out for green and pretty. We did venture north, and everything fell in the place. Even we've got to build a home, and became home owners for the first time. When we got to Washington, we fluttered church to church. We've gotten hurts, and things were said, some things were done to my son. It was really painful. And then I started traveling, and it drove a wedge between candace and i. I was drinking so much on the road that when I got home, I would be just yelling at the top of my lungs at my kids because they didn't do something, but yet I was hiding behind this corroded life of pure selfishness. It was killing my marriage, it was killing my kids from the inside. I remember just being... There being a lot of, like, fights and my dad getting angry. The more that my dad would leave, the harder it became. Coming home was harder than coming on the road. I can't wait to go back on the road again. Oh, my word, I get to do what I want, when I want, wherever I want. I just relied on her to be the Spiritual side of the family. You pray for them, you take them for church, you teach them Jesus, you do that because I'm not, I don't want to. I was a terrified person trying to find a balance to make him happy, not get angry with me or even with the children. For some strange reason, I don't know how to explain it, this amazing idea drops in my heart. I really need to find a church on Saturday because then Saturday, I can really just like have time with God, and then Sunday could be all about getting ready for Monday. Couple of weeks later, this postcard comes in the mailbox. It just said most amazing prophecies. And I looked at the postcard, and it had mostamazingprohecies.com. I watched one after another, after another. When I got to number seven, it was about the Sabbath. I just got on my knees and completely rededicated my heart to Jesus. And from pretty much the middle of December to the end of January, I spent Sabbath at home. I would turn on saccentral.org. I don't know how I came across it, and I would listen to that and get out my Bible, and I was like, "this is my church." One of the commercials at the end of Amazing Facts or whatever will say, Sabbathtruth.com. 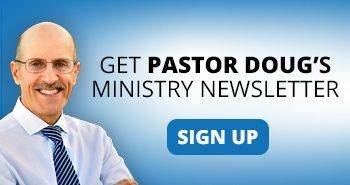 I think, "you know, I want to check out Sabbathtruth.com." So I clicked on there, and then off to the right hand side, there was a spot that said, "how can I find a Sabbath keeping church?" So I clicked on it, hey, there's mount vernon. Mount vernon's only about 20 miles south of me, I could go there. So I go inside, and I'm sitting there, and then a gentleman comes up, he's like, "hi, what's your name?" And his wife, and his kids, "how did you find us?" I told them my story. And he goes, "would you like to get baptized?" Just about a week and so later, on the 9th, I was baptized. In here, I'm on the road, I'm on traveling, and I'm drinking and doing the business. I'm earning money, and it's coming home, and it's keeping my wife at home with the kids, but our relationship was extremely strange 'cause of the things I was being involved in on the road. This is may now, and I'm on a airplane flying home. I've been watching my wife, I've watched my son, my eight year old daughter at this time was already been baptized. All four of them are in this radical relationship with these people at this church. And the one thing that bugged me the most was this Sabbath day, like "there has to be something missing here." And so I had this list of Scriptures. I had two Bibles with me I traveled with, and I started to read, and then it hits me. My eyes just opening up to discover that I had never ever, ever honored God on his day. Oh, we went to church. We were children's and family pastors. And here, I'm in this airplane, and God's Word is speaking to me. I came home and got on my knees, and asked my wife to forgive me. And that day, my life was radically changed this, the kids saw. My parents are two completely different people than they were 10 years ago. When we all came together as one family, as one unit, nothing was going to separate our family anymore. We're more closer than before. What Amazing Facts has done to my family... Oh, my word, the fact that we are talking like this right now is a miracle. Is a miracle. My girls to hug me, my son to hold me. I am such a blessed man.